Pay online and gain rewards! Many of us have been transacting online since the last few years and the size of this market has only been increasing. Most International and a few Domestic Banks provide Net-Banking facility at no additional cost to their customers and this means the customers can use their Debit/Credit cards to perform various transactions –to transfer funds to other accounts within and outside the customer’s own bank; to purchase financial products such as Fixed & Recurring Deposits, Insurance, Stocks, etc. ; and of course, to shop! When I mean shop, one could buy almost anything that one desires – from groceries to stationery, cars to real estate properties. Needless to say, one needs to use his/her own prudence while shopping online – whether using a Debit or a Credit card as it is a natural tendency to spend as much as possible, given the various exciting promotions and offers that compel us to “consume” more. Internet payment security has been a great concern over the past years but that’s improving day by day with Banks and their payment gateway partners (third-parties who process the transactions on behalf of the bank’s customers) upgrading their back-end continuously, to ensure that the transactions are not spammed by malicious intentions. Online shopping has been in existence since late 90s – with many Airlines and Online Travel Agents (OTAs) notably starting the trend. For the sellers, it was mere savings in their operating costs – there is no need for precious real estate and manpower to conduct these transactions; for consumers, it was saving time and effort, and of course, a better deal at the touch of a button. In India, Air Deccan (which was later taken over by Kingfisher Airlines) was among the first to popularize this trend. Over the years, many Retailers such as Shoppers Stop, Crossword, The Future Group, PVR Cinemas, etc have been using this potential in their favour. Then there are generic websites such as eBay and Amazon who have been pioneering this concept since the past decade, where one can purchase almost everything under the sun. Having said that, the size of the Online Shopping/transacting market is not yet very big in India. There are various reasons that one could find that deter people from transacting online, security being a major one but most importantly, it is the “habit” or the lack of it. I know many of my friends who have been living in the US or Europe who shop online for as many products – from hand wash liquids to food items to shirts and ties. That’s because of previous experiences and yes, standardization of products (including Quality and Delivery). I remember when I was at my friends’ place in Hong Kong last year we called and ordered full-fledged meals for three days from a small time Indian Restaurant – order placed, payment done instantly online and food delivered in less than 30 minutes. So, if it can work well in HKG, so be it in BLR as well! 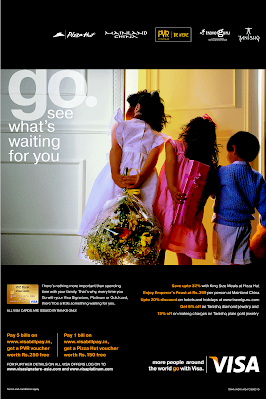 There have been many programs in the past to reward customer loyalty. But this is a bit different. Needless to say, this is among the brilliant campaigns that I have seen in the past few days when Retailers have tried every trick in the book to woo consumers. In this case, a very smart move by PVR and Pizza Hut! While it is bit more cumbersome in the case of the cinema, the pizza idea seems better. The consumption cycle is not just faster, but obviously the upside sales potential is higher. A family of four would order for atleast Rs. 300-400 during one purchase and the upside value is the hook. In case of PVR too, consumers would visit the cinema, redeem tickets against the voucher but buy food and beverage within the auditorium. That’s again a big opportunity. In both the cases, chances that first-timers would get tempted are high. If someone has never tried paying online, then probably he would, with the comfort of paying bills online, from his desktop or PDA. In case the customer has never visited a PVR or has never ordered a pizza, then that’s again a great attempt to get them acclimatized to a new way of watching movie or dining. Whichever way, the more you spend, the more you earn rewards. So, go pay! And get rewarded instantly. This Retailer whose name is also that of a precious stone, with humble beginnings on the corner of Brigade Road since the last two decades has risen dramatically over the years with a brand-new outlet at Richmond Road, thanks to increasing purchasing power of consumers and increasingly demanding needs of the family, notwithstanding the fact that most of the products are over-priced and do not last long, as they are cheap imports from South East Asia – a simple Economics theory of Price Elasticity. Also, there was nobody to offer such a wide offering during the last few years in Bangalore is another strong reason for the meteoric rise of this retailer which is still controlled by the family and managed by store assistants who feel indebted to their owners for reasons best known to them. 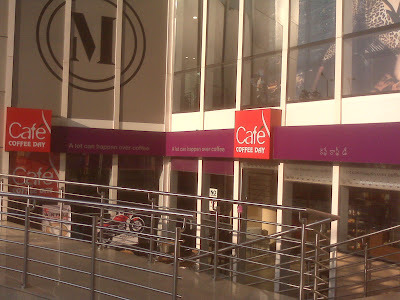 After seeking various options at over a dozen large outlets such as Bangalore Central, Lifestyle and Mothercare, etc. during the last two months, a couple chose to purchase a baby-cot at this famous toy store in Bangalore. As always, that such decisions are made during the second or third visit, this couple also purchased the product during their third visit to the store – after making sure that their need was met best with this exact product. Not that there were many iterations that were available, but this one seemed to suit exactly what they desired. After spending Rs. 7,500 for the same, the couple gave details of the residence address for Home Delivery – something that the Retailer was reluctant to take up given the distance from the store to their residence but acceded with dirty glances mainly due the high-value of the purchase. Typically, the Retailer would have made a gross profit of 45-55% on this product. The delivery was promised on the next day, Sunday after the purchase was made just before the store closing time (21.00hrs). The couple along with their family proceeded for dinner at a famous restaurant in the vicinity and was enjoying their meal, feeling ecstatic about the new purchase and how it would make a difference for their young one. Just after the Man ordered the main course, they received a phone call, and the person on the other side introduced himself as the driver of the delivery truck waiting outside their apartment for delivering the newly bought furniture! Wow… that was quick indeed. The man thanked the driver for this service, but excused himself saying that they were out for dinner as the delivery was scheduled for the next day. The driver pleaded ignorance and said that he was “asked to follow orders by the owner” and that’s what he did. (I told you before). The man apologized and said that they would return within 30 minutes and requested the driver to wait and the call ended. With a few minutes, there was another call, this time from the shop where the product was purchased. The caller explained that the drivers were on leave on Sunday and hence the delivery today. The Man said they would take some more time as they have just ordered food and the family was on its way home. The angry caller yelled at the customer – saying how insensitive they were to their quick customer service! He scolded them for being so irresponsible and told them to hurry up with their food and reach home in ten minutes, for which the Man responded with two things – not to scream at someone and that they would reach home at the earliest. The caller handed over the phone to one of his loyalists who after a brief chat with the other person said that the product was being called back and the Man could come to store to collect his money back. What? Said the man. Yes. You heard it right. Come at your convenience and collect your money, we wouldn’t be interested to have business with you, yelled the voice again in the background. While the Man was explaining his predicament, he heard a blank note after a while – the caller had disconnected a while ago and the Man was talking alone! 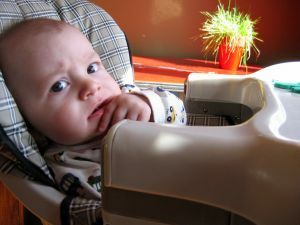 Left with no choice, the family ended their dinner abruptly to return home with a broken heart and shock. This, is better known as “Kasht-Mar” service – a slang used in Hindi for Customer Service which actually means “Die of difficulty”. That’s what the Retailer did just now. The fact that this man could spread word about this shocking episode around the globe instantly was of no case or use to the Retailer. After all, how many people can he talk this about…there are thousands who aspire to shop at S*****E, the Toy Shop best known in Bangalore. It is indeed very sad that such Retailers behave with excessive arrogance due to their newly found pomp and popularity, not recognizing that all that they have built over the years was because of such customers and their brand equity erodes over time due to the same customers. What the Retailer lost was not a sale of a few thousands this time, but that of the next ten years – of this family and many others known to them who would have continuously spent their savings at this store. As they rightly say, it takes ten times an effort to retain customers than to get a new one; but for such retailers, it doesn’t matter. Alas, they aren’t going to be in business for too long if they continue the same way, so, how does it matter! Ask any Retailer at the airport on the business impact and many are not smiling. Reason: More passengers doesn’t necessarily mean more revenues although the potential cannot be neglected. The main reason for this is the lack of “dwell time”. Dwell time is the idle or disposable time that pax have at airports between the processes such as Ticket & Baggage Check-In, Security Check and Boarding. In India, during domestic flights, pax are advised to report at the airport atleast 90 mins before departure. While most frequent travelers report not before 50-60 mins, many actually reach the airport ahead of time. The average dwell time for Domestic pax. is between 20-30 minutes. Most of this time is spent within the Security Hold Area (SHA) which is also the waiting area after Security Check. However, due to excessive crowds at various process points, the dwell time has actually reduced over the past months. That means, the disposable time has reduced considerably since pax are waiting in various Queues – at check-in, security and boarding gates. The main reason for this is the airport capacity handling – the number of support systems that are required optimally (utopian!). The first Q that one encounters is at the entrance of the Terminal building where the CISF staffs (who manage security installations at all Indian Airports) check every person’s ticket and their identity. That a piece of printed paper can be forged is not taken into consideration although an Identity card such as a Driving License, Pan Card, etc is insisted. The next Q is at Airline check-in counter. Full Service Carriers have as many as 8-10 counters each while the low cost airlines manage with 4-5. 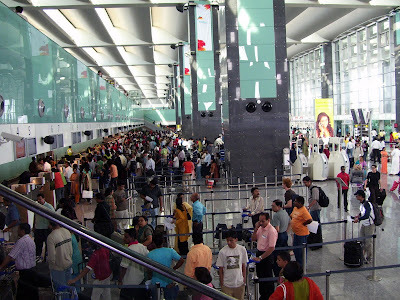 At major airports in Mumbai, Delhi and Bangalore, for a peak passenger strength of over 6,000 pax during peak hours (05.00-08.00 hrs and 18.00 – 21.00 hrs), there are not more than 10-12 security booths and thereby, the waiting time in the queue is considerably long. By the time the passenger reaches the SHA, it’s already boarding time… Assuming that a passenger reaches 75 mins in advance, spends 5 mins at the Main Entrance, 15 mins at the Airline Check-In, 30 mins at the Security Check, what’s left over is only 25 minutes, out of which 10 minutes is spent in the boarding Q, 5 minutes to reach the aircraft by bus and 5 minutes inside the aircraft settling down. So where is the opportunity to shop and eat? No answers, unfortunately at this time. Delhi is awaiting a new Terminal in the next four months and Mumbai will commence using the newly constructed terminal in the next few weeks. Chennai is already gearing up for a new integrated terminal that would be operational by end of this year. 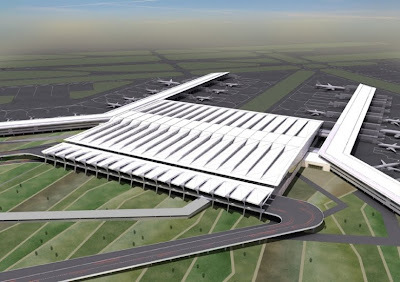 Bengaluru International Airport (in which the GVK Group acquired a strategic stake recently and also manages Mumbai airport) will expand its existing Terminal building in months to come. Given this scenario, what is the respite to increase the commercial opportunity at the Airports? I would say, Attitude. There needs to be a cohesive approach between the Airports and their stakeholders such as the Airlines, Security agencies, and all the staff who work at the precincts. I was recently stunned by an encounter at the Delhi Airport. 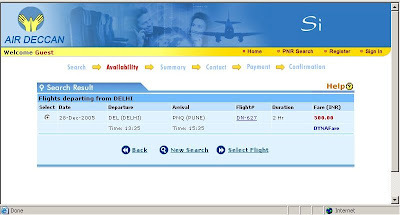 I was flying the country’s oldest private airline to Bangalore and had already finished my web-check early morning. 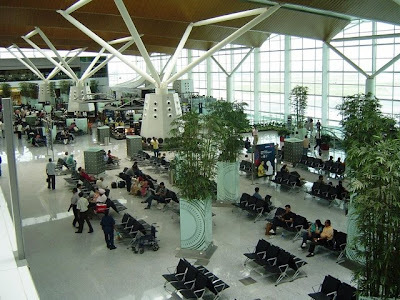 Usually there is a baggage drop facility offered by this airline that is available for such passengers – it is more of a convenience to pax and the airlines than a privilege and I have been doing this often. This time, when I approached the counter, there didn’t seem to be any orderliness with over a dozen people standing confused in a specially created Q by themselves. When I approached the Senior Staff (who was distinct to find as she was wearing a different uniform), she smiled and said “Sorry Sir, we don’t have such a facility”. When I quizzed more, she said it was due to the Airport infrastructure. Indeed, she was not saying the true stuff. While there were over 10 counters, only half that number was working (it was a Friday, 18.00 hrs peak time). There were atleast 40 people in Q waiting for their turn to check-in. What was stunning was the blatant lie by the Airline staff. Having worked in an airport earlier, I know what it means when it comes to Airport infrastructure. But such an attitude by a senior staff was disturbing. The airline staff didn’t realize that her lackadaisical attitude would affect her own earnings in future. Let me tell you how. Airports are trying their best to increase the commercial revenues so the same could be compensated to the airlines for their high costs. These measures take 3-5 years to be implemented and airports such as the ones at Singapore, Bangkok, Hong Kong, Zurich, Dubai, etc. have actually proven this in the past. The lower costs to the airlines mean savings, which is passed on to passengers on their tickets and staff on their earnings. Ask those who work in airlines for the above mentioned airports and they would vouch for this. 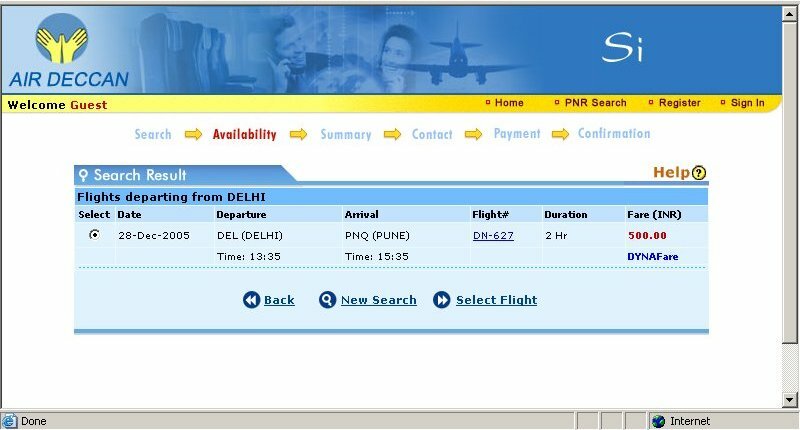 Ever wondered how a return ticket from Bangalore or Mumbai to Dubai or Singapore is cheaper than a return flight within the country – this is how. Staff Attitude needs to change. Airlines and Security Staff have to realize that it is not just important to be personally efficient but also make the airport environment friendly and profitable. Some need training; some need sympathy. Let’s hope. I was travelling two weeks ago on my second official trip to Hyderabad since Nov. 2009 and was naturally intrigued by this imposing structure, rightly called GVK ONE. This Mall which has been in the making since 2005, finally opened for business in full-swing during late last year. 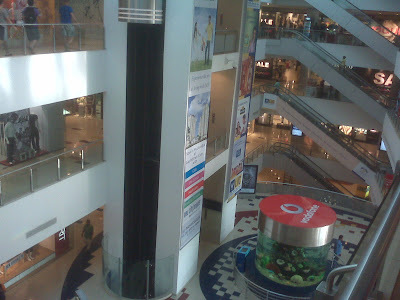 Spread over 625,000 sft across four floors and two levels of basement parking that could collectively accomodate over 700 cars and 500 two wheelers, this is by far the largest Mall in the central part of Hyderabad and would remain so for some time to come. The promoter, as the name goes is none other than the GVK Group – leaders in Infrastructure and Power business in India, who manage various TAJ hotels in the city and also operate the Mumbai Airport and recently bought a controlling stake in Bengaluru International Airport (BIAL). I am told that the name of the mall is known to be based on two reasons – one, that it is the address of the Mall on the Banjara Hills and the other being that this is the first Mall project of the group. The location itself is stunning - bang in the middle of the most affluent locality in the city, where according to a survey made a couple of years ago by the Group, the average household annual income among residents is over INR 5 lakhs. From the choice of the paint on the exterior and interior walls to the floor tiles, everything has been done to perfection and the most important nuance is the lighting on the ceiling of the atrium – that is formed as the letters G.V.K. The anchors include Shoppers Stop, INOX Cinemas and the city’s first Hard Rock Café (there was one within the International Departures of the swanky Hyderabad Airport that is managed by the rival GMR Group, but that was shut down some time ago due to low patronage). 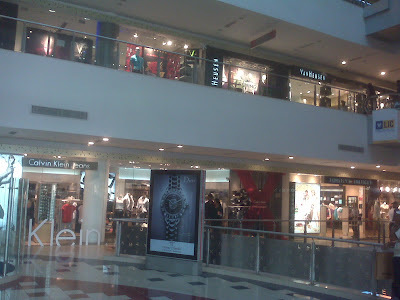 There are several other vanilla stores in Retail and F&B which include Calvin Klein, Benetton, Esprit, Bossini, Pepe, Mango, a local Jeweler, Café Coffee Day, Juice Booster, etc. 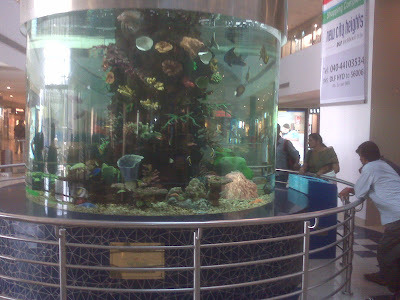 The biggest attraction is a wonderful aquarium that is placed in the main atrium on the Upper Ground which attracts a number of curious visitors – young in age and by heart, and there is a customary photo that is taken alongside (something that we Indians love, irrespective of where we are – at places of worship to shopping centers!). 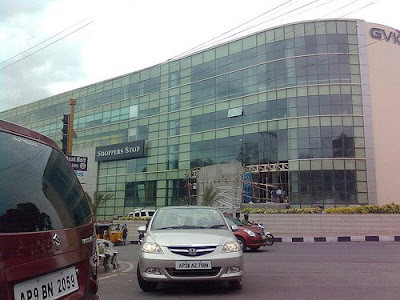 Shoppers Stop is spread over 60,000 sft across two floors from the ground – this is the third outlet for the business in Hyderabad city based on encouraging trends – the city’s shoppers are quite trendy and fashion conscious and contrary to the rather shy image that they carry, people actually shop for colorful stuff – from apparel to accessories, furniture to cars. Incidentally, over 60% of those who shop at Shoppers Stop are members of the privilege program “First Citizen”, the largest retail loyalty program in the country. This could be a big driver of footfalls into this mall, time will prove though. Hard Rock Café, the cult pub and restaurant is located on the Upper Ground, but with a direct access – that means, you don’t have to get into the Mall to enter the place, quite common world over. 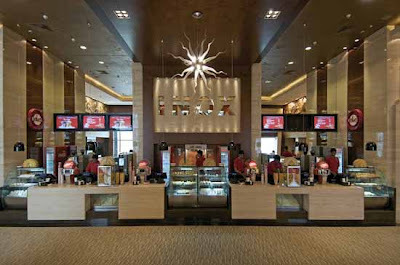 INOX, spread over 40,000 sft with six screens, is tucked away on the top floors – a straight forward approach on the elevator on any floor would take you to the cinema. There is a large food court serving local as well as national and international delicacies and seems to picking pace among shoppers and visitors. What I am surprised though is the circulation – very plain and simple. Each floor plate is not more than 40,000 sft and starts and ends in the same place. As one enters, you could walk on the left side or right and just keep walking. Every 5 meters, there is an entry to a shop and every 50 meters there is a breaking point. For all the brouhaha that was created, the layout seemed too simple. I am not a believer in complicated walkthroughs within the mall, but this one is just too simple. Also, adjacency planning between the brands could have been better. There is almost no logic to my mind why certain brands are placed next to each other. In Mall Management, one of the most important focus areas is to place the brands correctly, as much as possible. There has to be a value-addition from every placement – the most popular ones in the corners and the just-popular ones on the way, so shoppers walk as much as possible and are invited into the smaller ones. In India, the trend is reverse – the most popular ones, especially apparel and sports brands want to occupy the entry points! All said and done, what I liked best was the placement of our café – yes, Café Coffee Day is located right at the entrance with an independent access. This is the second café within a 2 sq. km radius in Hyd. (compared to many such in other cities like Bangalore, Mumbai & Delhi). Overall, I believe it is a good package for the retail-starved Hyderabad – beyond the stand alone Shoppers Stop and Lifestyle stores and Hyderabad Central in Begumpet, there is pretty much nothing for shoppers in the centre of the city. InOrbit at Cyberabad is yet to gain steam, until which am sure GVK One will attract more onlookers and some serious shoppers. Good luck to the team that’s running the show. Images Group, India's largest publishing house that specialises on Retail and related activities recently conducted the Food Forum India, an annual conclave where the Indian and International Food and Beverages industry congregates to discuss and share thoughts on current issues and best practices. This is one of those very rare events where Pepsi and Coke come together under one roof - yes, Pepsi is the host for the main event while Coke sponsors the Golden Spoon Awards. It was my privilege to be on a Panel discussion aptly titled "Transit - The New Location" under the aegis of National Restaurant Association of India (NRAI), an umbrella entity that is spearheading the needs and wishes of its members. ‘Coca Cola Golden Spoon Awards’– Images awards for excellence in food retailing - presented on 4th March at the Food Forum India evening of food titans was a grand corporate ceremony with award presentations by business leaders, and high-gloss entertainment by celebrities. The Awards followed strict international benchmarks in deciding the top honors with IRIS as Knowledge Partner. The selection process involved a countrywide poll to short-list the nominees, jury nominations, self-nominations by short listed nominees followed by performance assessment by IRIS analysts. The awards Jury consisted of prominent names from the branded food industry and business analysts, modern trade teams of global & Indian food majors including Hindustan Unilever, Britannia, Cadbury, Cargill, Dabur, Darshan Foods and Forum of Indian Food Importers. The ‘Coca Cola Golden Spoon Awards’ acknowledge excellence in food retailing & food services – retailers adopting best practices at the back end and front end – including customer relations, smart strategy, operational efficiencies and innovation across value chain. While Big Bazaar was one of the biggest winners on the night, the audience was mesmerised with scintilating performances by renowned singer Shibani Kashyap and stand up comedian Ash Chandler. Big Bazaar’s award as the ‘Most Admired F&G Retailer of the Year: Large Formats’ was recognition for the company’s tremendous growth in a challenging financial environment from 110 stores in 2008-09 to 125 today. Big Bazaar narrowly beat out a competitive field of nominees for the award, which included Spencer's Hyper, Easyday Market, Hypercity, Star Bazaar, More MegaStore and Spar. Walmart's India Retail venture with Bharti Retail's Easy Day with 56 stores won them the Coca Cola Golden Spoon Award for the 'Most Admired Food & Grocery Retailer of the Year: Small and Medium Formats'. Pantaloon Retail claimed the ‘Most Admired F&G Retailer of the Year: Private Label’ on the back of news that its Future Group division is set to register a turnover of Rs.440 crores for the sale of food and packaged food through its private label. Other nominees in the category were Reliance Retail, Spencer's Retail, Aditya Birla Retail, Max Hypermarket and Trent. The ‘Most Admired F&B Retailer of the Year: Cafes, Juice Bars & Parlours’ category was one of the most competitive of the night. Cafe Coffee Day was voted the winner by industry members ahead of Barista, Costa Coffee, Baskin Robbins and Jus Booster Juice. The award for India’s best premium restaurant went to Indigo (‘Most Admired F&B Retailer of the Year: Premium Restaurant) while Dominos Pizza won the award for ‘Most Admired F&B Retailer of the Year: QSR Foreign Origin’ among stiff competition from KFC, McDonalds, Subway and Pizza Hut. The Coca-Cola Golden Spoon Awards recognise excellence in food retailing and honour the brave innovative spirit of leaders in the dynamic Indian food retail and service industry. Food retailers are leading a change that has redefined consumption habits in India, resulting in a change in food tastes, preferences, awareness, consciousness and choices over the past few years.